For park and map info click on "Chapter 1: Introduction", then "Base Map and Existing Park". 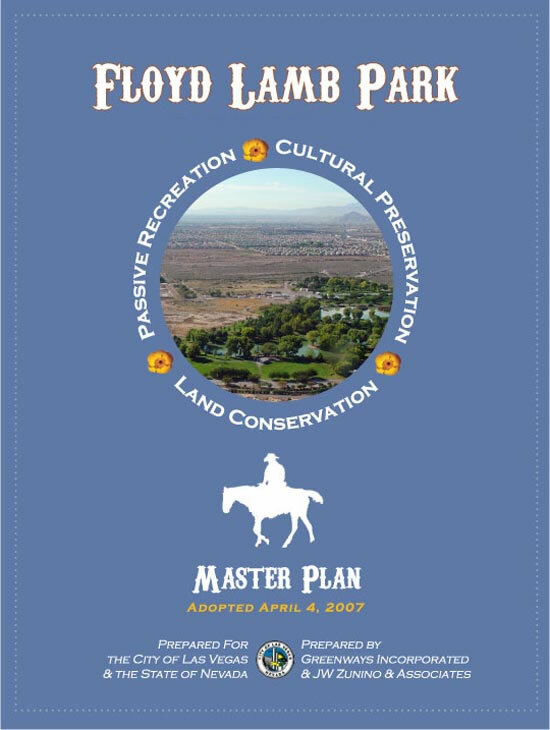 Floyd Lamb Park is one of the best horse riding areas in Las Vegas. It is one of the most beautiful and historic parks with rolling green hills, 4 small natural spring fed lakes with ducks and peacocks, beautiful large trees, walking and horse riding trails. It is a great place to do some relaxing early morning or afternoon fishing. The large trees give plenty of shade and add a beauty to the surroundings. There are plenty of covered picnic and game areas. For park and map info click on "Chapter 1: Introduction" on first line on top, then "Base Map and Existing Park".